This is a project dealing with social studies government terms; unitary, federal, confederation, autocratic, oligarchic, and democratic. 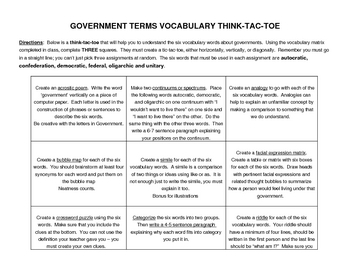 There are ten activities to choose from on a tic tac toe board. The student must choose three that will make tic tac toe.